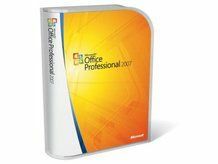 Microsoft is set to change tack in 2009 and make a version of its Office suite available online. This is a major step for the software giant, as it signals a move into 'cloud' computing, where software applications are not downloaded to computers but accessed from the internet – something Google and Adobe has been championing for some time. Speaking to Reuters, Stephen Elop, Head of Microsoft's business division, said: "We expect fully that the full range of Office utilities, from the most advanced to simpler lightweight versions, will be available with a range of options: ad-funded, subscriptions-based, traditional licensing fees and so forth." Microsoft isn't going to limit the availability of its software either. It claims that it will make Microsoft Office available to rival browsers (not just Internet Explorer) and it won't be utilising Silverlight – the company's rival to Flash. Although the software is set to launch next year online, it is in five years' time when things will get a little more interesting, with Elop claiming: "What we think is in five years, 50 per cent of the use of Exchange and Sharepoint could be serviced from the cloud."